I know it’s been a while since I’ve participated in a blog train, but I’ve been preparing a very special digital scrapbook kit for you this month! That’s right friends… toot toot! All aboard the Pixel Scrapper Blog Train! I’ve taken a new turn with my designs lately, delving a little deeper into my mad drawing skills and creating some super fun hand drawn elements. When I saw the July palette over at Pixel Scrapper I was inspired! all this AND MORE can be yours with a few clicks of the mouse! “Fresh Squeezed” has the bold and bright colors perfect for all your beautiful summer pics. Fun and fresh scrapbook products to kick off the summer of 2016 in style. And… as luck would have it, I also have a couple fun addons, including journal cards and wordart clusters! Like what you’ve seen? 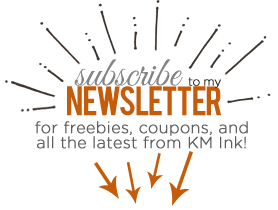 Want to receive regular updates, tips, inspiration, and freebies right in the comfort of your own inbox? Subscribe now! Don't worry, I hate spam too! Your email address is safe with me. You can unsubscribe at any time. And last, but not least… subscribe to my newsletter to get updates from me, and of course these fun word art clusters (and even more freebies!) Already a subscriber? Your download links should be hitting your mailbox and moment now. Quench your thirst for free scrapbook goodies and download the whole blog train at Pixel Scrapper right now! Thanks so much for stopping by, enjoy the rest of your hop. Did you enjoy this freebie? Don’t be selfish – share the love! You can leave me a comment below (they just MAKE my day!) or share this freebie with your digi friends around the globe! Are you a digital art enthusiast? Do you love my designs? Are you a sucker for free product? Consider joining my Creative Team! Check out the image below for details. I look forward to working with you. quite unique and pretty! your designs certainly stand out. Wow, I just ADORE this summery and vibrant kit!! Thank you so much! Such a lovely contribution! Thanks so much for sharing! Thanks so much! I’m a real sucker for doodled and watercolor items… so my scrap heart is lightening up right now! Your kit and add-ons are lovely! Thanks so much! You are very welcome, glad you like it! Love the handmade look. Very pretty! Thank you very much. Wow, your kit shouts summer and fun! Love it. Thanks for sharing your talent with us! Glad you like it Mary! This is gorgeous!! Thanks so much!! Beautiful colors!!! The kit is amazing!! So very summery!!! Love the word art!!! It is so cute!! Love the balloons, word art, and pin wheel!!! They are beautiful!!! Love the lemons, and lemonade!!! They are too cute!!! The papers are stunning!!! The journal cards are so pretty!!! The word art is just amazing!!! Thank you so much for sharing!!! Wow! Thanks so much for the kind words 🙂 So glad you like the kit! Thank you very much. I like it!! Thanks so much! This is a really cute kit! Thanks so much! Your kit is so pretty and unique! Thanks a lot for the lovely share! I’d love to see them! Thanks so much for this beautiful kit – and the journal cards! This just screams “SUMMER” to me, lol! Wow, this is an AMAZING kit! I love it! Thank you so much for sharing it for free. Thank-you so much for the gift.